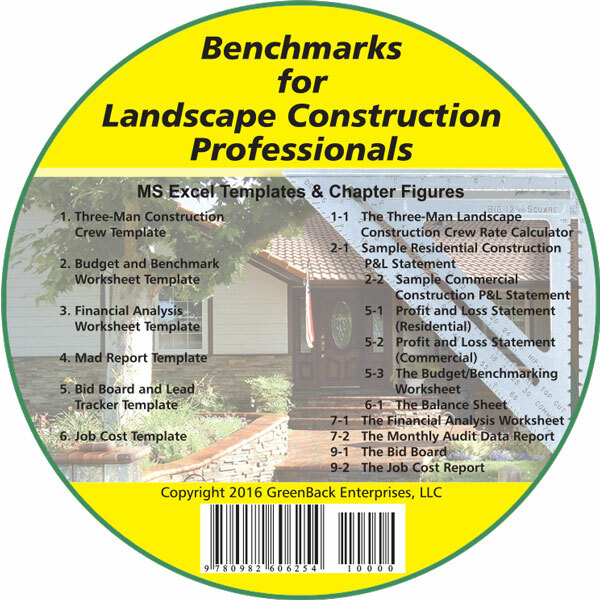 Benchmarks for Landscape Construction Professionals is a practical, step-by-step, guide that contains Benchmarks, Standards and Critical Numbers regarding: Finance, Estimating, Production, Organizational Structure, Marketing and Your Life for Landscape Construction Professionals. Drawing on his extensive Green Industry experience of 30 years and working with thousands of green industry contractors, Jim has written the most extensive book in the Green Industry on Landscape Construction Benchmarks. 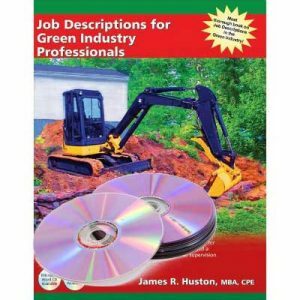 Benchmarks for Landscape Construction Professionals is also available on a CD ROM. It contains all of the figures and illustrations in the book plus: (1). The Benchmark and Budget Worksheet, (2). The Bid Board for tracking all of your leads/bids, (3). A Job Costing Worksheet, (4). A Financial Analysis Worksheet, (5). A Labor Rate Calculator, (6). The Monthly Audit Data (MAD) Report, (7). Profit and Loss Statement formats, and (8). 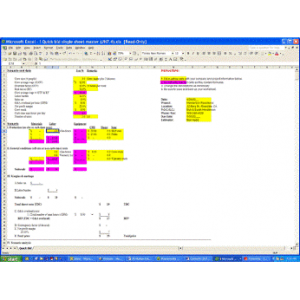 Balance Sheet formats. 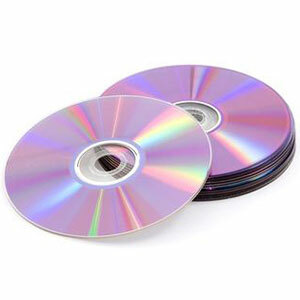 You can copy and save these files to your desktop or laptop computer and use them over and over. To purchase the full set of resources, the book, audio cd, and MS Excel templates on cd, click here for the discounted package.